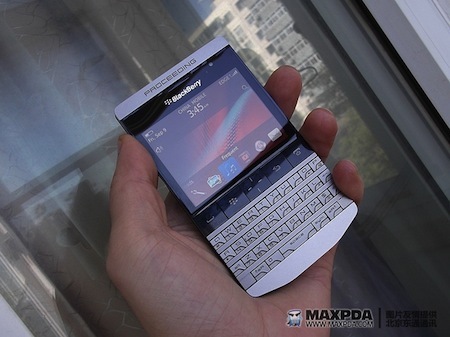 BlackBerry "Knight" 9980 a Porsche-Designed Berry?! By now, the BlackBerry R47 (9980) has made it's rounds to just about every BlackBerry fan out there. Everyone has seen the blurry previously leaked images, then the high res images and now the video. But what is this thing? Is it a real BlackBerry device that will eventually be available or is it some rejigged BlackBerry Bold 9900 that someone is just trying to pass off as a new BlackBerry device? At this point there is no definitive information available but we have some speculative insight now that the device is out there more. Take it for what it's worth but we're hearing that this device, for now dubbed the BlackBerry R47 is actually codenamed "Knight" and was designed by Porsche and could possibly be launched as a limited special edition. Though, looking at the comments surrounding the device thus far, maybe RIM will consider scrapping the whole thing altogether. Love or hate the design, the information of it having possibly been designed by Porsche is interesting. In the past we've seen plenty of other device manufacturers and designers team up to make special limited edition smartphones. Most of which are also seen as being "ugly" by most folks but hey, we can't all have a designer's vision or for that matter the possible $2K it might cost to buy a device like the BlackBerry R47. We're poking around for some more information right now. So that said, stay tuned. If we learn more, we'll keep you all posted. Until then.. take it all with a grain of salt.